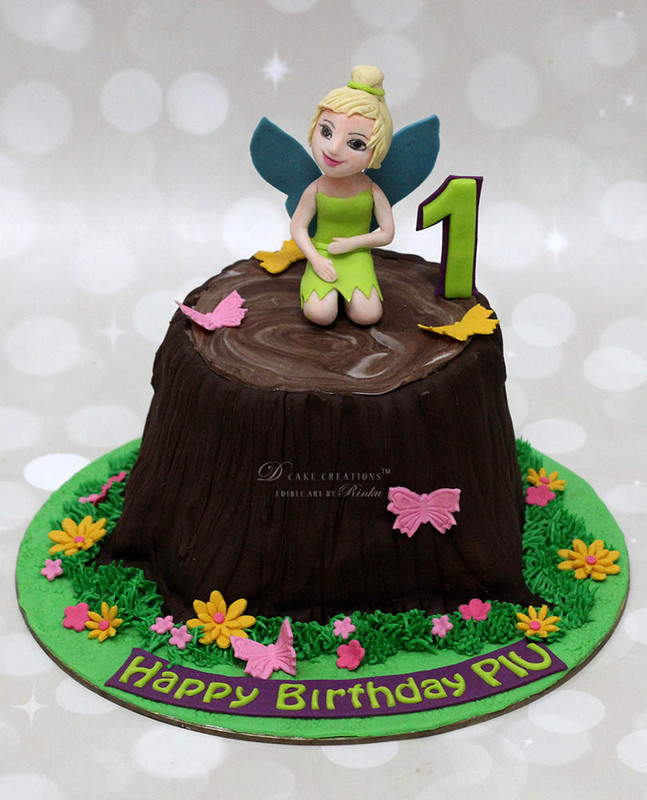 The Tree Trunk Cake with Tinker Bell was designed for my lil client Piu’s first birthday. This cake was designed for her first birthday party. There was another small Minnie Mouse Cake that I designed for a small celebration with close family.